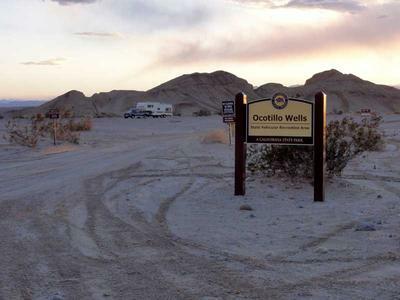 This free camping area is inside Ocotillo Wells State Vehicular Recreation Area, a California State Park. The expansive park has plenty of open desert to roam. There are countless trails throughout. 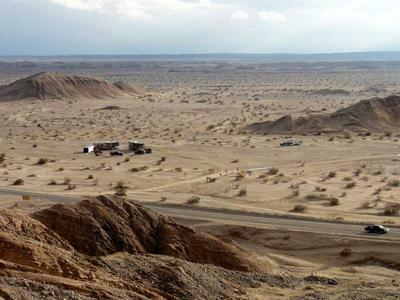 There are dirt hills to climb and there’s even an obstacle course for jeeps and SUVs. Ocotillo Wells is very popular on weekends with ATVs, dirt bikes, UTVs, dune buggies, sand rails, off-road trucks, jeeps, and SUVs. If you’ve got motorized toys, you’ll be in heaven! 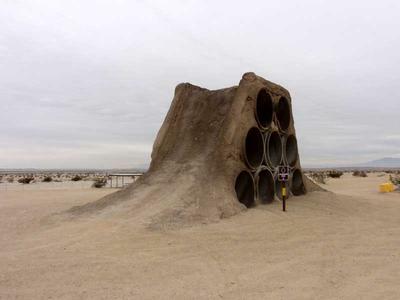 Campground Directions: From Highway 86 in Salton City (on the west side of the Salton Sea) head southwest on Highway S22 (Borrego Salton Sea Way) for 3.4 miles. Turn left onto the dirt road (before the highway climbs the hill) and you'll see the entrance to the state park where there are several ramadas with picnic tables. The state park can also be accessed from Highway 78 to the south. Camping is practically unlimited as you can camp almost anywhere. It’s mostly flat and there’s only the occasional creosote bush for vegetation. Campground Facilities: There are several campsites here that have their own canopy shelter over a picnic table. There are also waterless restrooms and trash dumpsters for your garbage. There isn’t much for hiking, unless you want motorized company. However, hiking on the weekdays might be enjoyable, as it’s typically quiet. 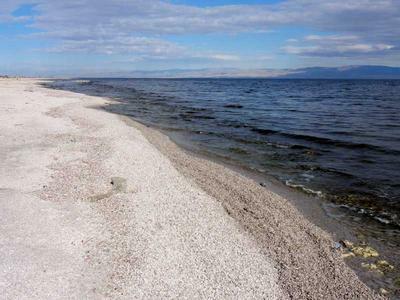 There is a fantastic view of the desert and the Salton Sea from the plateau to the north. There are also a few campsites up here, accessible with a 4X4, or your own two feet. Peacefulness: This is a vehicular area and it’s noisy on the weekends, but weekdays are usually quiet. Weather: It was very calm much of the time during my 1 week stay in January. I had some light rain over the weekend and the ground became a bit muddy. Temps have been very pleasant with lows in the upper 50s, and highs around 70. Cell Signal: Most of the time I had 3g Verizon cell phone service, though a few times it was only 1x. Verizon mobile broadband internet was pretty fast with the external antenna placed on my RV’s roof – but it wasn’t quite fast enough for watching videos. RV Campsite Rating: 7 out of 10. You can camp anywhere and enjoy the beautiful winter weather. Join in and write your own page! It's easy to do. How? Simply click here to return to Free RV Camping Southern California.